A recent Assocham study reported that the first half of 2010-11 witnessed a steep decline in the sale of flats and apartments. However, the second half is expected to be positive for the real estate sector due to a revival in the real estate activities driven by infrastructure growth, which in turn can accelerate both the residential as well as commercial spaces. Neeraj Bansal, director (advisory services) at KPMG, says: "The slack in demand in the NCR was primarily led by negative business sentiments; but that's been over for almost one year. The last few months have seen a spurt in good business for real estate in the NCR. Many new projects have been launched and new price benchmarks have been created." Mona Chhabra, associate director (real estate and hospitality practice) at Ernst & Young, also has a similar view. "If one were to compare the situation in the residential market in 2010 vis-a-vis H2 2008 and H1 2009, there is a perceptible increase in the sales velocity and the prices of new projects. In Gurgaon, for instance, the prices for new launches have surpassed the earlier 2008 peaks," she says. Another important factor is that the share of the mid and premium segment has increased as compared to the affordable segment, which is evident from the growing sales as well as the launch of a host of mid-segment and luxury projects in recent months. In the case of commercial space also, there has been increased sales and leasing activity. Besides, the rental and capital values have increased from the slowdown phase, although by and large, they are yet to touch the preslowdown peak levels. Whatever the case, industry observers and experts are quite upbeat on the growth prospects of the realty sector in the region. They say the Delhi NCR region has been showing the highest per capita income growth for the whole of the country, during the last decade. The rise in disposable income is very visible in the growth of real estate and capital goods consumption in the region. Given the projected GDP growth for the country and the planned budgetary expenses for the region, it is safe to assume the continuation of a large quantum of investment in the infrastructure development for the region. "As such, the NCR is poised to continue as one of the fastest growing regions, both in per capita as well as population density, given the high immigration numbers. And it goes without saying that the region is well placed for investments in industrial, commercial and residential development," KPMG's Bansal says. Although the current land costs and scarcity may make large-scale industrial development pretty difficult, the growth in commercial development, driven by services industries (financial and IT/ITeS services, retail, hospitality, etc) and the resultant demand for residential property seems high and sustainable. Developers and property consultants believe that the property prices in the NCR may witness 10-25% growth this year. "We anticipate 10-15% appreciation in the property prices this year. The demand for right-priced homes continues to be strong and we expect the residential market to remain robust. Besides, the industrialization and infrastructural growth, along with better connectivity, will boost the commercial property as well," says Ankur Gupta, the joint managing director of Ashiana Housing Ltd.
bets from a long-tem perspective at current price points." 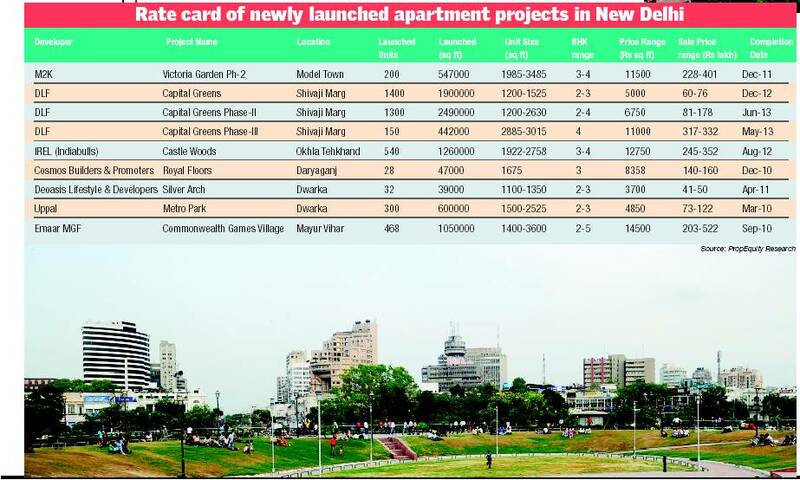 However, while the property market of the NCR seems getting back on the fast lane, not all the pockets of the region are showing similar trends and equal growth prospects, at least for the time being. For instance, today, Gurgaon land price rates are at an all time high, beating the 2003 and 2007 peaks. On the other hand, Noida is attracting a lot of investments, specifically due to the varied options for investments available, and so is Ghaziabad. Also, while places like Indirapuram in Ghaziabad do not remain as hot as they were earlier, some new places like Bhiwadi are beginning to emerge as key industrial hubs. Thus, there is no specific trend in terms of return on investment in real estate across the NCR in the last 16-20 months, as there has been broad-based appreciation. The returns have been more or less consistent, with Gurgaon showing a higher return over other areas in the NCR. The future growth, however, is expected from new developments in and around Gurgaon, Noida and Greater Noida. "Due to low capital values and a large number of options, Greater Noida is looking attractive for retail investments. However, from the perspective of higher return on capital values, Gurgaon still seems to be a better and attractive investment destination compared to Noida and Ghaziabad," Bansal says. Manpreet Singh Chadha, CEO of Wave Infratech Pvt Ltd, however, believes that given the popularity and the kind of projects coming up, Ghaziabad might get an uptik. "Some good townships are coming in the area and hence the variety of projects will attract more eyeballs, which will ultimately convert into sales. Apart from that, other NCR towns will also do good as the inventory in these towns is commensurate with demand and one town cannot fulfil all the housing needs. So, I firmly believe that it will be an inclusive growth with all the NCR towns playing their respective role," he says. Commercial property investments, on the other hand, will be driven by location and ability to command rent. So, yield will be the decider on such investments going forward as investors are averse to hold on to high cost assets with low yield. With the announcement of Phase III of Metro, some areas in Ghaziabad and Faridabad will start witnessing a gradual price growth potential, which will pick up pace as the Metro project nears completion, paving the way for higher accessibility. One notable thing is that the NCR is beautifully poised for both end users and investors. "Last year was very good for the NCR. Capital values have almost reached the peaks of 2007 and crossed them in Gurgaon. Gurgaon has emerged as an investor's paradise, giving almost 30-40% return in a year. And Noida and Ghaziabad are end users' markets as the rate of price appreciation is in the range of 10-20% only. So, the NCR is beautifully poised for both end users and investors and we'll continue to see a strong market here," Singh says. However, while the picture for 2011 looks rosy for the Indian real estate in general, rising property prices coupled with increasing interest rates remain a concern for the growth of the industry. "While the market has emerged from the slowdown, growth in 2011 would depend on how the macroeconomic factors play out. In case of a continuation of high inflationary trends and increasing interest rates, residential demand can get affected," says Ernst & Young's Chhabra. A recent report by Fitch Ratings also highlights a similar thing and says that while the demand for residential units is expected to be the main driver of the industry in the medium term, the absorption rate is likely to slow down over the near term on account of the strong increase in residential unit prices witnessed in the second half of year-2010. The withdrawal of the teaser interest rates by lenders and the increase in interest rates expected in H1 2011 are also likely to dampen the residential demand.